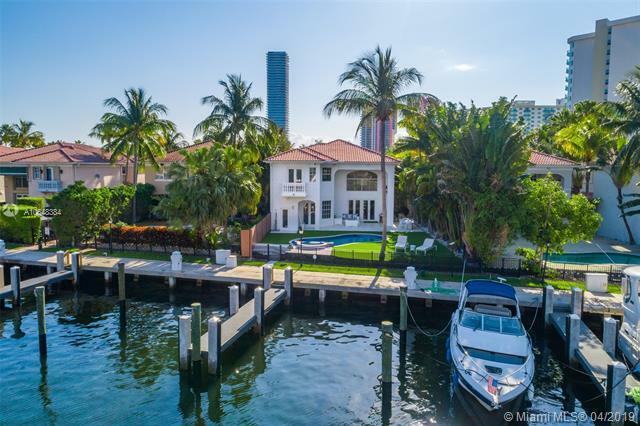 Truly an aquatic paradise, this incredibly elegant waterfront estate offers a magnificent 6,135 total sf 5bd/5. 2ba floorplan situated on a 9,225 square foot lot. 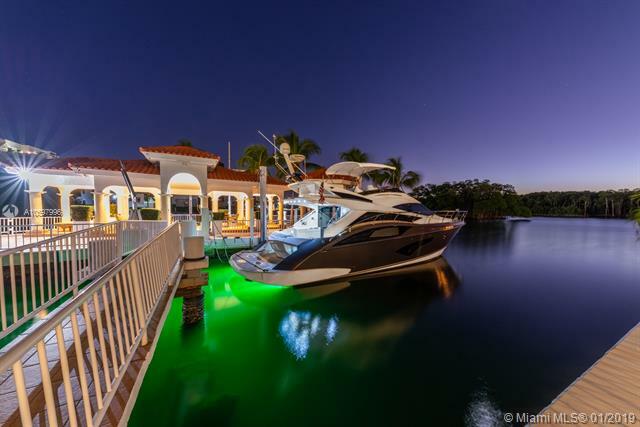 60ft of water frontage with a 40ft dock + separate 2-jet ski slip overlooking the residence ¬ø� ¬ø�� ¬ø��s secluded private island. No fixed bridges to the bay or ocean. Additional features include: grand atrium entrance, dramatic high-volume ceilings, designer finishes, detached guest suite, oversized impact windows/doors, elevator, 2 laundry rooms & chef ¬ø� ¬ø�� ¬ø��s open kitchen overlooking the pool area. The regal double master suites on the airy 2nd floor each offer gigantic walk-in closets, sitting areas, spa-like baths w/toto toilets & private terrace. 2-car garage, gym, & pool area w/cabana bathroom. 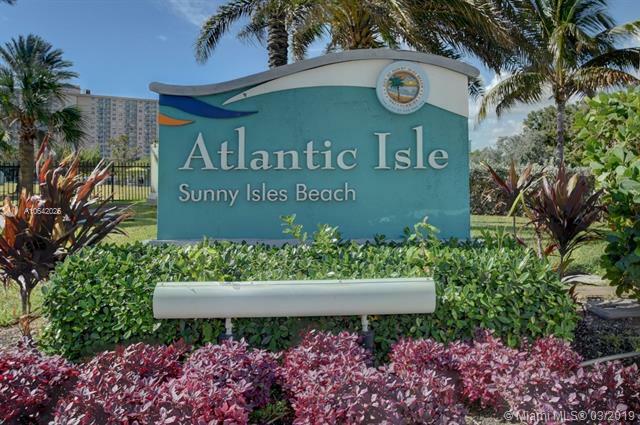 Exclusive beach access from hoa also included. Incredible deal! 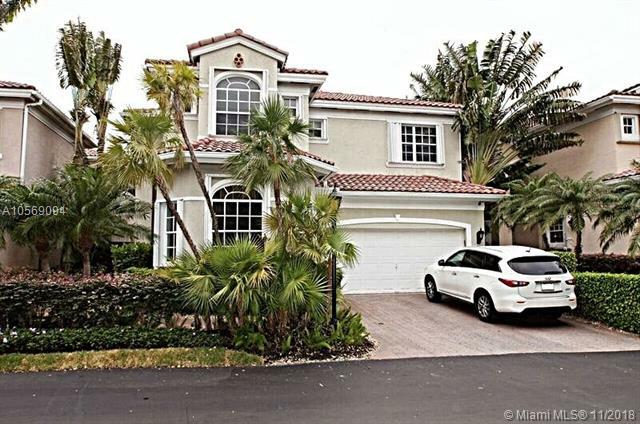 a unique and rare luxurious waterfront 2 story home, 5bed, 6bath, garage with more space in the driveway, on a 9,165 sqft land, in most desirable sunny isles beach location, 5 min walk to the beach. Features a 3,060 sqft large private island with serene water views with plenty of space for your yacht up to 55ft, fishing boats and jet skis. It is surrounded by beautiful landscaping, oversees the intracoastal and collins skyscrapers. When you enter, you will walk into a beautiful picturesque foyer with high columns and high ceilings, a beautiful spacious kitchen with stainless steel appliances, a cozy living room, large master bedroom, and much more... This home was totally refurbished in 1995 and the last interior upgrade was in 2014. Showings are by appointment only! This beautifully remodeled golden gate estate is one of only eight waterfront homes in the sought-after gated community. The home offers tremendous ceiling height, 4 bedrooms plus a den, 3. 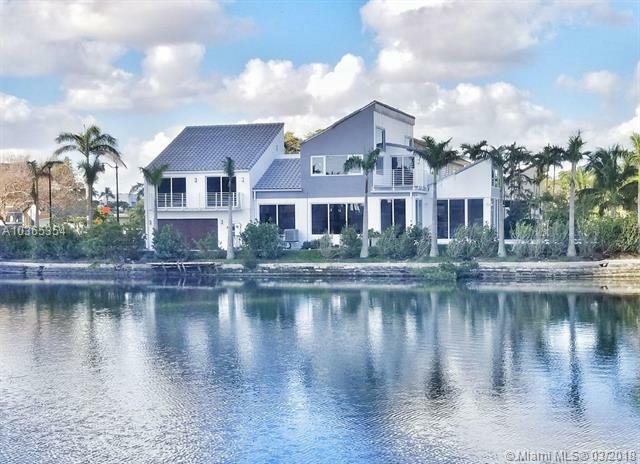 5 bathrooms, modern finishes and a private dock for a yacht up to 60 ft. A resort-style backyard with intracoastal views and an open concept dining room make this home a true entertainer ¬ø� ¬ø�� ¬ø��s dream! 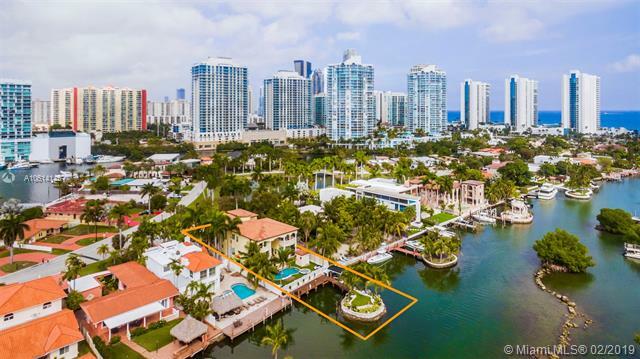 Fantastic opportunity to own a house on an exclusive island with only 58 waterfront houses in sunny isles beach. 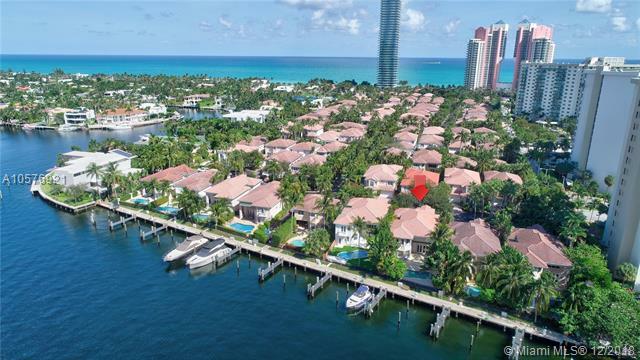 Incredible 9,140 sqft lot, 60' waterfront with beautiful new private dock and seawall. No fixed bridges to the ocean. 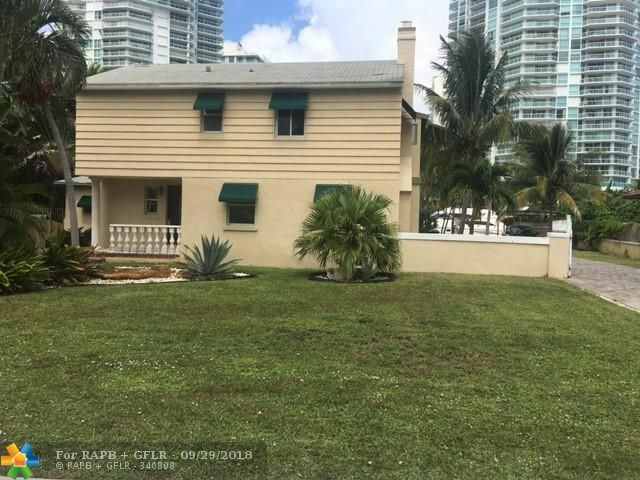 Remodel or build a dream house on this exclusive location across the street from your own private deeded beach lot. Charming small house with endless opportunities. Located between bal harbour and aventura, minutes away from from world class restaurants, shops and houses of worship. 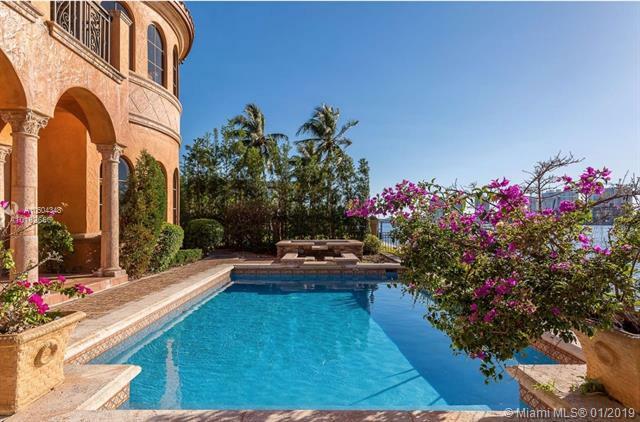 The most amazing home in this luxury gated community steps from the beach. Totally redone, 6 bdrs, 5 full baths, 2 half baths. Vaulted ceilings, formal dining room. One of a kind estate. The largest & best model. Best location in the neighborhood, cul-de-sac close to the park & tennis courts, near the beach entrance. Brand new state of the art kitchen. New baths, "rain forest" shower. Heated pool, 2nd flr w/charming juliet balcony. Marble and wood floors throughout. Hurricane doors and shutters.